Another great week of learning all about you. Thanks for teaching us! Were you popular in high school? That was our big question in last Saturday’s newsletter. According to your answers, 62 percent of you say you had plenty of friends, but wouldn’t consider yourself “popular” per se, and 27 percent of you say you pretty much just kept to yourself except for a few close friends. However, 11 percent of you (that was about 150 votes) did say you were one of the popular kids. Did you know our editor, Chuck Woodbury, was the senior class president of his high school? He was a part of that popular 11 percent (which is funny, because he’s actually quite introverted!). There’s no place like home! Or is there? On Monday, we asked how many miles you lived from the place you were born, and it appears that most of you either live pretty far or pretty dang close! The majority (though not by much), 26 percent, say you live somewhere between 1,000 and 3,000 miles away, but following close behind, 24 percent of you answered that you live less than 50 miles away from where you were born. See the poll for more specific distances. Here’s something 73 percent of you need according to Tuesday’s poll: this. Hah. We’re just kidding (kind of). We asked when you’re RVing, do you wear the same clothes day after day? Hence, why we suggested fabric refresher – 46 percent of you answered that you wear the same clothes more than one day in a row, 22 percent say you wear the same clothes two or three days in a row, and 5 percent say you don’t keep track of how many days you wear clothes. I’m like the 27 percent of you who answered you change your clothes every day. We’re glad to know that 81 percent of you have never had to take refuge in a storm shelter during a violent storm! Perhaps the 19 percent of you who have had to take refuge should take reader Rory’s advice: “I keep an eye on weather reports, and evacuate long before it is necessary. Why, because I’m on wheels and I love fair weather. I am looking for and following sunshine and light breezes. See ya down the road, wherever the sun is shining…” See ya, Rory! Y’all are getting those credit card miles and gas points, huh? On Thursday, we asked how you usually pay for things, and almost half of you (48 percent) answered you use your credit cards most of the time. A quarter of you, 28 percent, said you use your debit card, another quarter says you use cash, and a tiny one percent of you (that’s 12 people) usually pay with a check. Cha-ching! Hey, if any of you don’t think money buys happiness, feel free to transfer it over to my bank account! All right you credit-builders, storm-avoiders, dirty-clothes wearers, travelin’ Dorothy’s, and popular folks, we’ll see you back here next Friday. Enjoy your last week of July! Previous articleHow important to you is socializing with other RVers at campgrounds or RV parks? I find RV’ers are not as friendly as in the past years. Sometimes we never see anyone and many don’t want to socialize or speak to you. Just isn’t as much fun as before. I actually enjoy meeting new people. If you travel with a club you most likely stick with the club members and don’t have the chance to meet anyone else. This, is why we don’t belong to a club . . .
We have been with RV clubs for as long as we have had an RV. So camping with many people takes care of the socializing. When alone, we have no need to befriend other campers…..we only are by ourselves a day or 2 at a time. 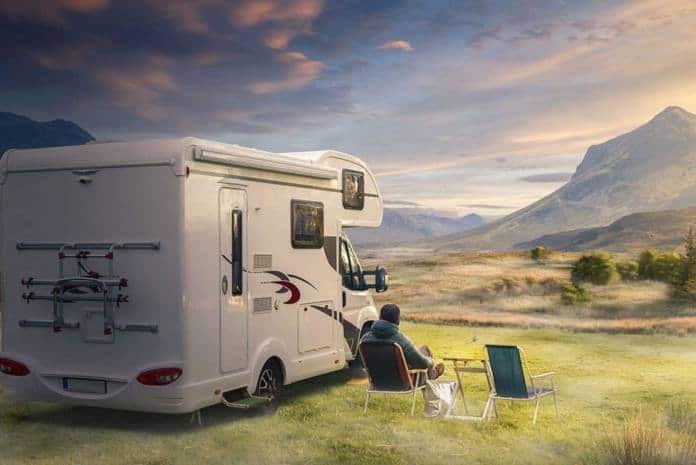 I suggest all RV’rs join a local club…..membership is usually inexpensive. $15 to $50 annually.